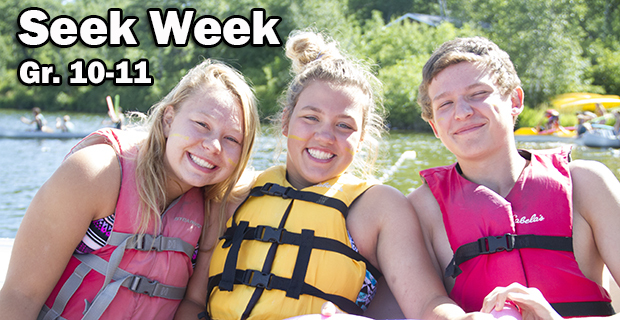 Get ready for the best week of your life! Seek week is an extremely high adventure week where you are able to dig deep into your faith and grow in tremendous ways as a person. As a seek week camper you will build endearing friendships with many people as you take on the high ropes course, partake in service work, sleep in many spots around camp (and even off site! ), and play some ridiculously fun games.